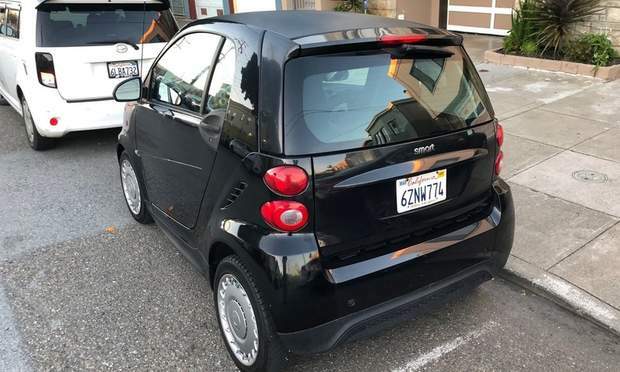 Car is fun and super easy to drive as far as smart cars go.. also Lance was quick to respond and very helpful.. would recommend this smart car especially here in san Francisco. americo was so nice and welcoming, he made renting a breeze. 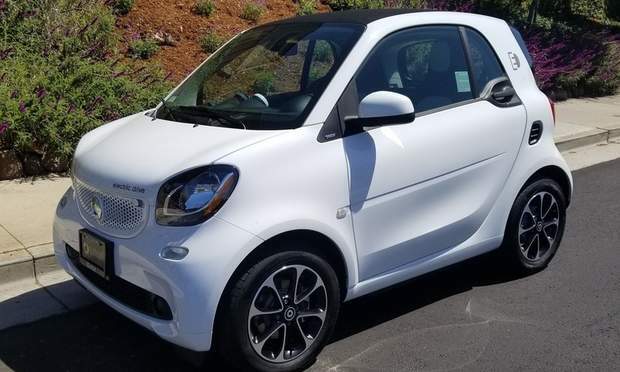 highly recommend the electric smart fortwo, driving it around san francisco was nice and you can park in the smallest spots. if you’re afraid the car might be too small, you can rest easy, i’m 6’6 and can easily drive the car with no problem! Javier was an amazing host , made it very easy with the curb side delivery and return. 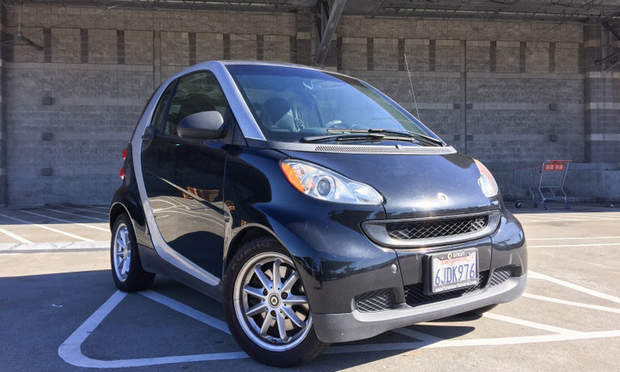 First time driving a smart car and loved it. Super easy to get around and park in the city. Will def rent from Javier again when I visit San Francisco. Zach was excellent in communicating instructions on pickup and drop off of the vehicle, as well as the vehicle location and terms of the rental. 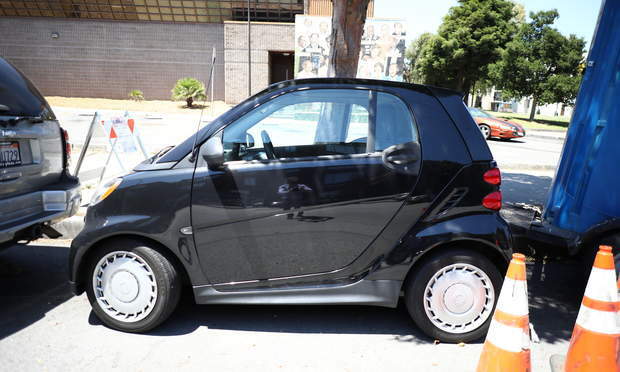 The whole process went smoothly, and a smart car was a good decision for San Francisco. Would definitely rent from Zach again! I've always been curious about Smart cars, and I've been told the best ones start with George's model year. In the end, it was perfect for San Francisco. In a city that is an eternal parking nightmare, I never had a problem. The car moves too... I drove to Stanford and back with no problem, and it feels totally safe even at freeway speeds. I would definitely rent again. 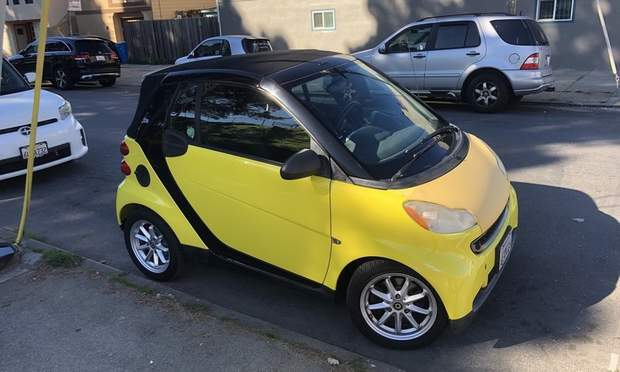 I don’t usually rent Smart cars but I didn’t have too much stuff to lug around and the price was right. You can’t beat it for parking either. Chris was super accommodating when I needed to change my pickup location and I would definitely rent from him again. What a fun little car! Chris and Tim were super helpful and timely. 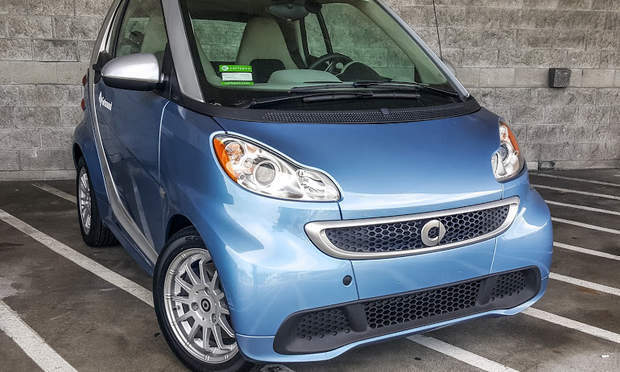 Rent their Smart, you won’t regret it! 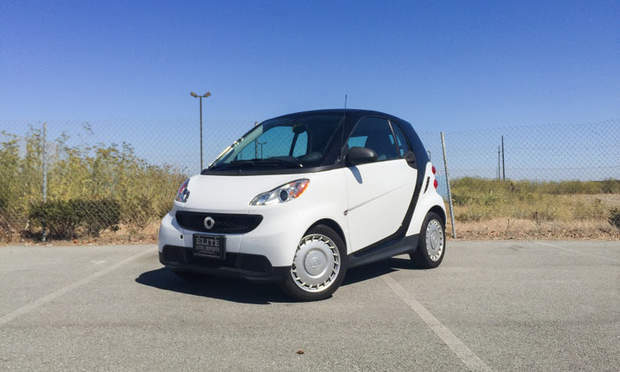 we frequently rent these smart cars for local trips. the owner is usually pretty quick to respond and parking in that area is nice and easy. Renting Nikola’s was very easy and straight-forward. The car was also in great condition. Communication with Nikola was very easy. 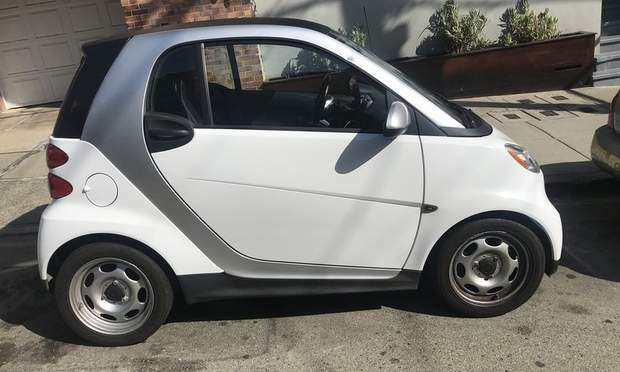 Would definitely rent his smart car again. Silve was great. Excellent Communication and flexibility. The car was as advertised and was a great day car for our trip to San Francisco. Would totally borrow from her again. Great ride! Perfect car for San Francisco - it made parking soooo easy which was wonderful considering I was using it to show my friend the city (lots of stops). George was super responsive and quick to do so. He was also really flexible and approved my refund when I realized I had to drop the car off early! Overall great experience - would definitely book again. Thanks George! Zach uses a remote automated system to unlock/lock the car and provides detailed instructions, making it very easy and convenient to rent from him. The car wasn’t too hard to park since it’s a smart car but it feels very old and not great to drive long distances. Renting from Zach was incredibly easy and convenient. We decided to try Turo and got a car the same morning. For such a low price, we got to take our San Francisco vacation out of the city and explore some amazing new places. George is a fantastic host that is very punctual and professional. His car was clean and perfect for our short day trip. I️ rented another vehicle while in San Francisco from another guy and it was not even close to as smooth of a process as my rental with George was! 10/10 would use George and his vehicle again. Great car for our needs in San Francisco!! Chris was running a little late but it was not much of a problem. Pick up and drop off was very convenient and a breeze. Made my first time on Turo a good experience!! Great taking the smart car around. Had a gas issue Zach was able to fix for us. Car was pretty dirty but overall was just fine. Parking this little car was a dream! Never been inside a smart car and to drive one was so much fun ! Communications for a first timer on Turo made the trip easy and driving the smart car was as fun as I believe it would be. The car ran great and was perfect for parking in the neighborhood. Zach’s cars are so easy to rent, this is the third time I am renting his cars and he is always so easy to work with...there will be a fourth review soon! Thank you so much Zach! Very helpful owner! We arrived late and had to leave early. Quang was extremely supportive in getting us the car and flexible in returning it. 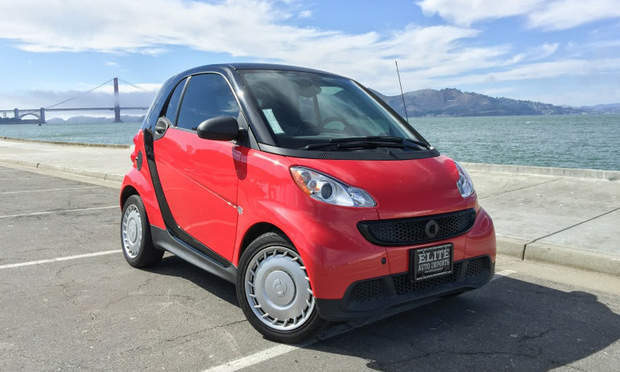 The Smart is a bit under-powered and has too short a wheel-base for the poor hilly roads of downtown Frisco, but it is a great car! Zach car was great. I will rent from him again! George was an Amazon Turo host. He responded quickly and even waited so patiently to pick me up from the airport. 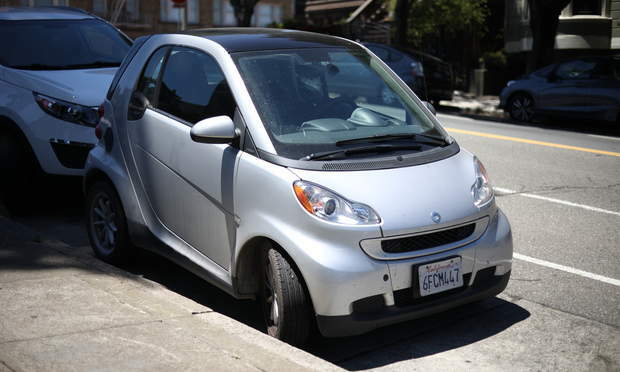 His car was safe, exactly as pictured, and made getting around San Francisco super easy! Thank you so much George for everything! It was my first time using the app services and was lucky to have such a great experience. Chris was very nice and helpful. He responded right a way and was available to help us when needed. The car was great and we had no problems driving it up and down the streets not San Francisco. I would definitely recommend using Chrises car and service in the future. Really easy to rent a car with Zach! Wonderful experience. Car is clean. Communication is a breeze. It was my first time using Turo. It was a great experience. Cute car and the whole thing was very easy. Americo was very accessible for questions and changes. It’s a great experience! Scott is so friendly and great communicative with a reliable clean car. The car was accessible and easy to park! Thank you! super easy and convenient, second time renting with Denis and I will most likely end up renting from him again! Everything was pretty smooth and I would definitely go back to Chris for his car. Very quick confirmation when the car was requested and very easy hassle free system of pick up and drop off. Car was great and I would definitely use one of Zach’s cars again. Corey was great to work with. He was super flexible and very friendly. Would definitely rent again. Thank you. Pretty great car if you’re just going from point A to point B; like I was, going up to Davis. I loved how I was able to practically fit into any space! Denis is super chill and very communicative. I would make another trip with his car again. Great little car. We took it out to Sonoma for a long weekend and it was perfect. Pretty zippy for its size and such a breeze to park on busy streets. George was super flexible when our plans changed last minute. Great experience! Good solution for being flexible in an easy way! First option for car rental in future! Easy and convenient car rental! Thanks Anthony for a great trip! Davud's smart is a blast! super cool looking, nice to drive. perfect for the city. David is super nice guy. First time using Turo very detailed instructions on how to pick up the car and how to return. will rent again! Great car! 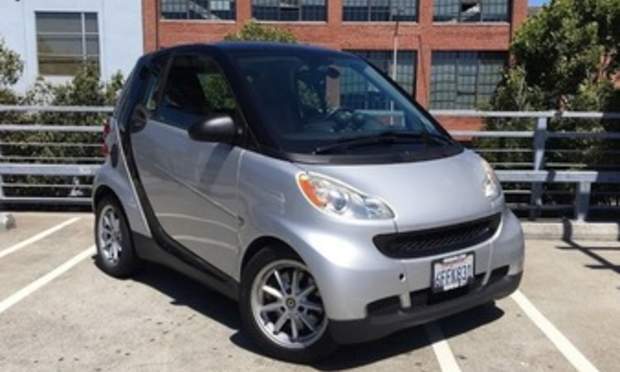 For those of you who haven’t driven a second-gen smart car, it’s surprisingly smooth, peppy, and great for the highway. George was very communicative and worked around my pickup/return schedule. Will definitely rent from him again! Zach was very flexible about the return time after I ran into traffic and had trouble finding parking. Everything went smoothly! Scott was helpful! Good option. Fun to drive. Quick responses to messages. Great experience! Super easy! Would recommend! Cool car, awesome service from the Turo valet lot. Hands down my new favorite way to rent a car. 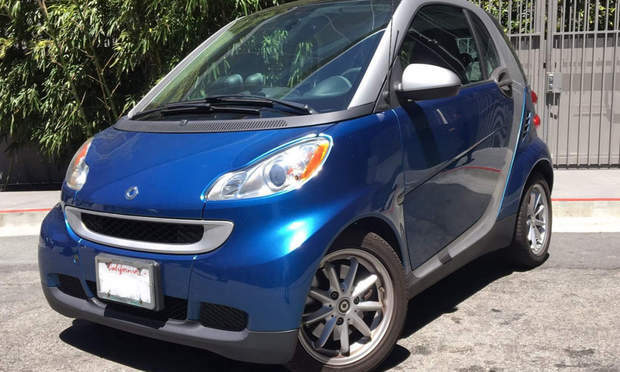 We loved our experience with Chris' smart car - clean car in great condition and parking was a breeze! Chris was super easy to work with, met us directly at our gate, and quickly responded to all communication. It was a great first experience using Turo! 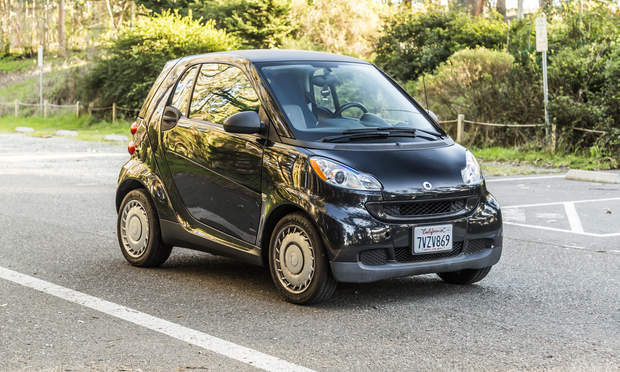 The smart car is where it’s at - park that little toy anywhere! Nikola was again, very pleasant to work with, prompt in communication, and very helpful. This no frills but affordable little car was perfect to scoot around the city in. Chris was more than helpful and great to work with. Would 100% rent from Chris and Turo again. 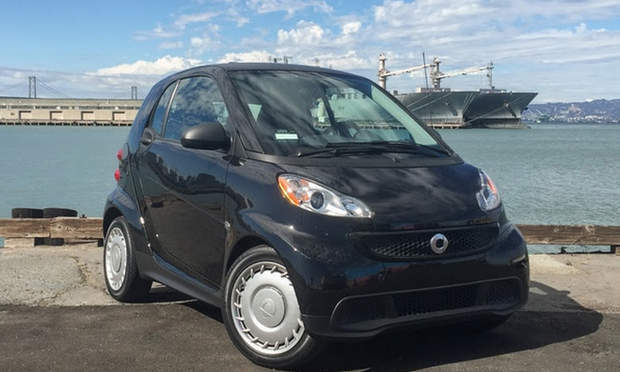 Had fun driving Zach's Smart Fortwo. First time in one of those and it was nice to find parking so easily upon return! It had a lot of pep. I used this for an overnight business trip and appreciated that I could pick up and drop off outside of "business hours." Zach has very detailed instructions and info for the car, and was accommodating of my requests to change the reservation times. Zach is extremely responsive and precise with his information, makes it really easy to rent his cars! The car was excellent as well!! 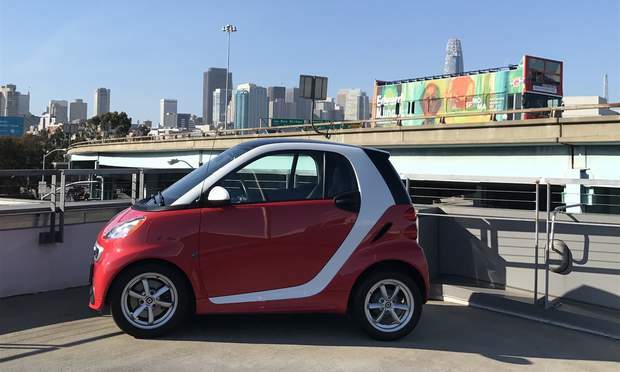 I really enjoyed zipping around The City in this smart car. It handled the hills well, was absolutely amazing on gas and was more than able to fit all my things. It is small, so it you have two people and luggage, this would not be a suitable option for you. Americo is a great communicator- he made sure I understood the policies and was always there to help answer any questions. Car was clean and functional, it was the perfect choice for napa. Will definitely rent from Americo again! An effortless rental, and a cool car. Thanks David ! Chris's little smart car was perfect for our short trip. Chris was very great to communicate with and was willing to work with my schedule. Would definitely recommend renting from him. Chris was super punctual dropping off the car and flexible when I asked to extend the trip. Such a fun cute car and so gas efficient! Delivery and pickup on time, the car was clean and perfect for a day trip. Thanks chris! Nikola was responsive when I was having issues with his car and made sure I was all good! Loved the experience! The car is super practical and easy to drive. Tip: use the transmission in manual mode and the car becomes a incredibly fun car to drive! Great renting with Chris. Convenient and easy to do business with. First time using Turo, incredible experience. Made it possible for us to see some sights we wouldn’t have otherwise. Zach was quick to communicate and the car was a real value as well! Thanks again! Even more that an amazing car, David is a nice guy that has given me a lot of support about US Traffic or about the car. When I come back to the US, certain I will look for the same car with the same owner. Thank you a lot, my friend! 5 Stars trip!!! Perfect little car for a day trip with a friend, easy pick up/return process and quick communication. Nikola is a great communicator and the car was exactly where it should be. David car was fun to use for the day. The size was perfect for finding parking and the gas mileage was great! Definitely choose this car if in the area! Easy convenient pickup and return. Fun car! This was an emergency situation and I needed a car on such short notice. Nikolas was communicative, flexible, understanding. Overall, great and seamless experience. Amazing adventure with zach’s car! We took this little car on a short day trip up to Muir Woods, and this was perfect for us! Chris was great, very responsive and detailed! Would 10/10 recommend!